Kimberly Gibson, 45, passed away at her home on Tuesday, September 11, 2018. She graduated from Muncie Central High School in 1991. Kim was a military spouse for 23 years and enjoyed living in different locations in the United States and abroad. Kim enjoyed watching Colts football, Pacers basketball games and loved Michael Jordan. She enjoyed listening to R & B music. Her boys say she was the best at making biscuits and gravy. She is survived by her husband of 25 years Bryan Gibson, her father: Stephen Lutz (Susan), 3 sons: Jordan Gibson, Kyle Gibson and Bryan Gibson, a brother: Nicholas Lutz, a step-brother: Chris King, 2 step-sisters: Danielle King and Kim Ratliff, step-father: Ted Green (Debbie King), her mother-in-law: Regina Gibson, and several nieces. 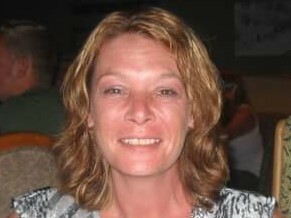 She is preceded in death by her mother Sharon Reum, a daughter: Chelsey Gibson, 2 brothers: Chad and Shawn Lutz.